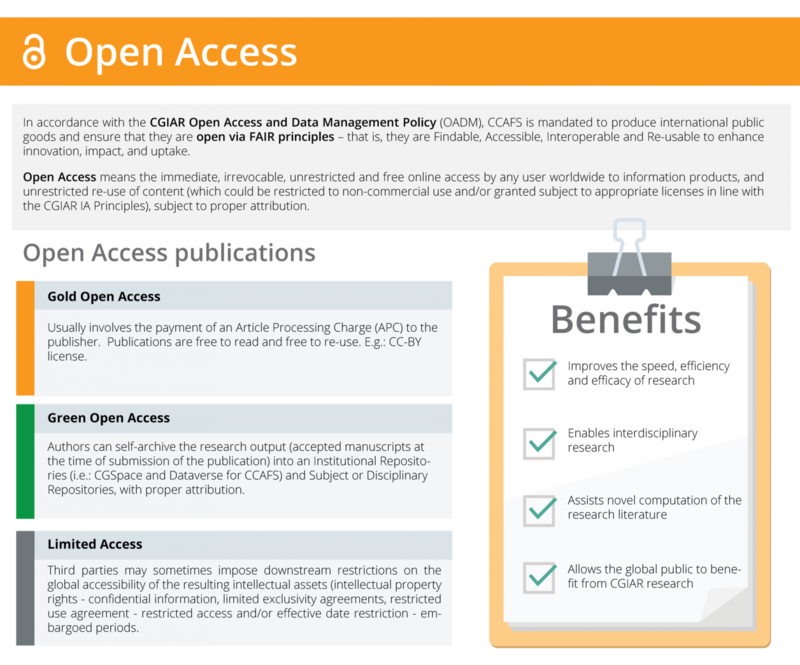 Open Access means the immediate, irrevocable, unrestricted and free online access by any user worldwide to information products, and unrestricted re-use of content (which could be restricted to non-commercial use and/or granted subject to appropriate licenses in line with the CGIAR Intellectual Assets Principles), subject to proper attribution. 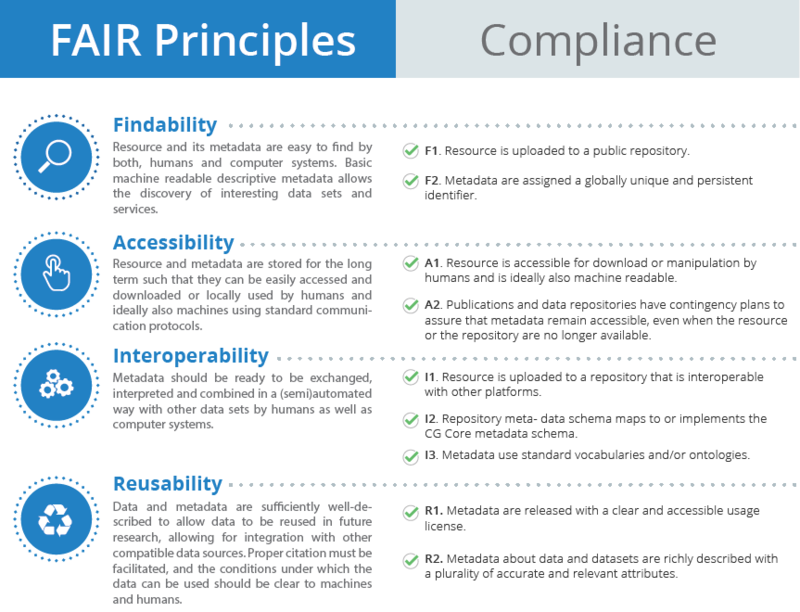 FAIR Data Principles (Findable, Accessible, Interoperable, Re-usable) support knowledge discovery and innovation as well as data and knowledge integration, and promote sharing and reuse of data. The principles help data and metadata to be ‘machine readable’, supporting new discoveries through the harvest and analysis of multiple datasets. How to make data FAIR? Findable – assigning a globally unique and eternally persistent identifier (like a DOI or Handle), describing the data with rich metadata, and making sure it is findable through disciplinary discovery portals. Accessible – data and metadata should be retrievable in a variety of formats that are sensible to humans and machines using persistent identifiers. Interoperable – the description of metadata elements should follow community guidelines that use an open, well defined vocabulary. Reusable – the data should maintain its initial richness. The description of essential, recommended, and optional metadata elements should be machine processable and verifiable, use should be easy and data should be citable to sustain data sharing and recognize the value of data.